In this week’s edition of our six part wedding mini series, we explore ways to infuse big drama into wedding centerpieces. 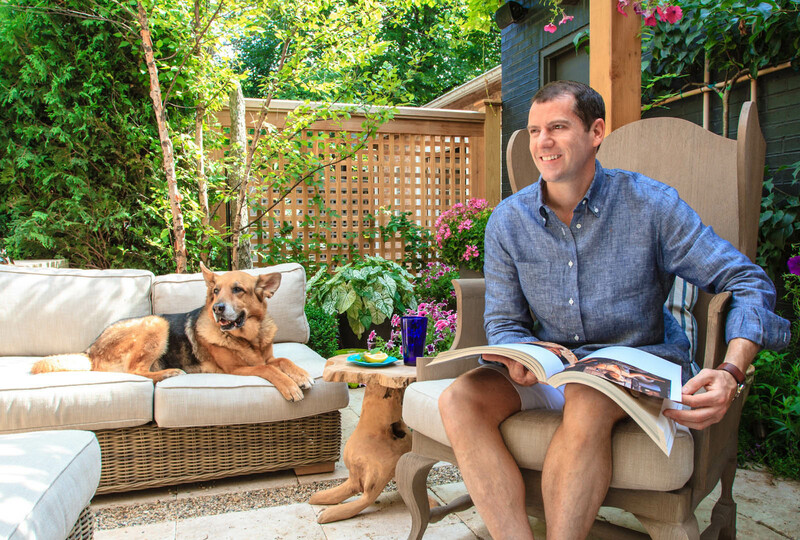 Here to help us is Kehoe Designs Event Designer, Joshua Jones who has quite the knack for helping brides get the most from their beautifully composed floral designs. 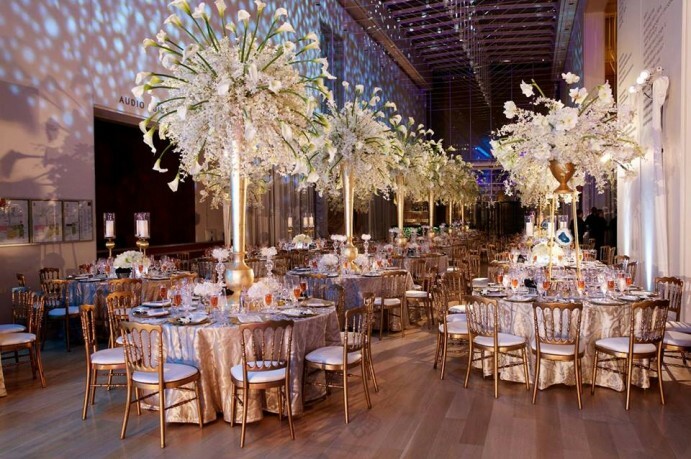 Read on to hear his tips on smart tabletop design, how to add gorgeous intrigue to the room, and lastly, what’s currently trending in the world of high style floral and wedding design. 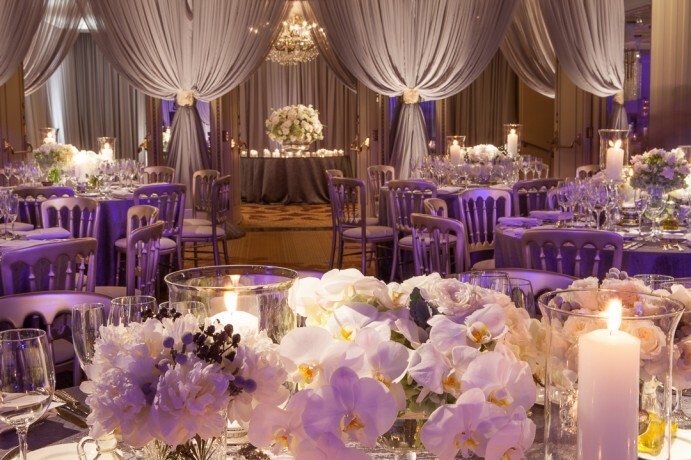 A softly illuminated room with loads of candlelight always creates a beautiful ambiance for an evening reception. 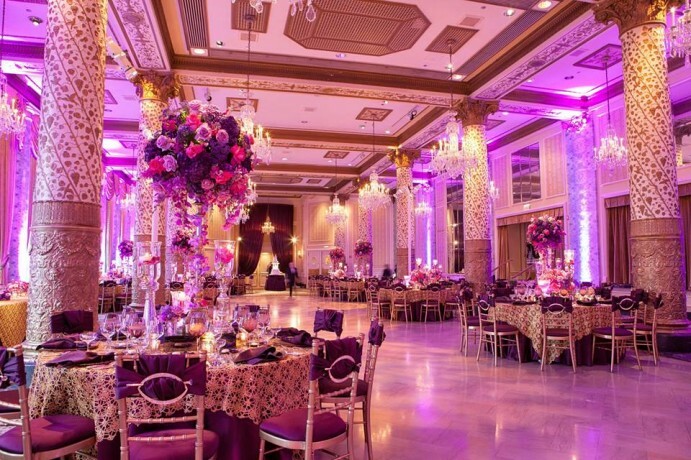 However, the darkness of the room shouldn’t shade the beauty of your gorgeous centerpieces. “A lighting package that includes pinspots will focus light on your floral designs while maintaining all the romance of a candle studded soiree,” Joshua explains. Bring on the drama by multiplying your table designs times two! 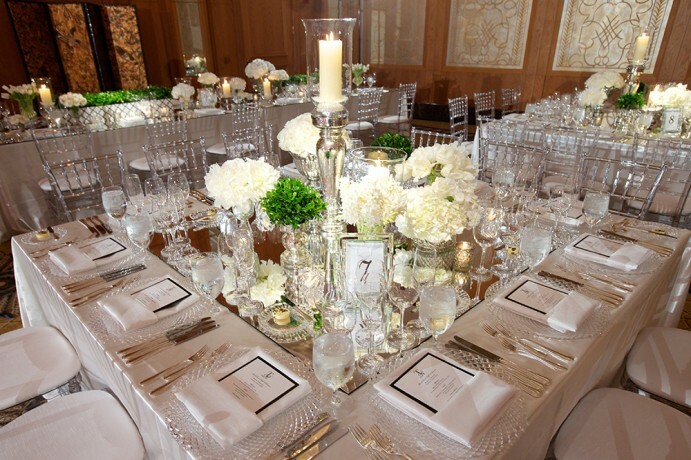 Mirrored tables or centerpieces on mirrored risers significantly enhance the setting by bouncing candlelight and reflecting the colors, textures, and shape of your tabletop design. “What’s more glamorous than the sparkling glow of a mirrored tabletop complemented by the elegance and richness of a luxurious linen?” asks Joshua. “Smart design includes a deliberate plan to reimagine ceremony decor into your reception space,” says Joshua. Get the absolute most from each beautiful bloom and thoughtfully selected accessory by incorporating aisle candles into your lush floral table collections. 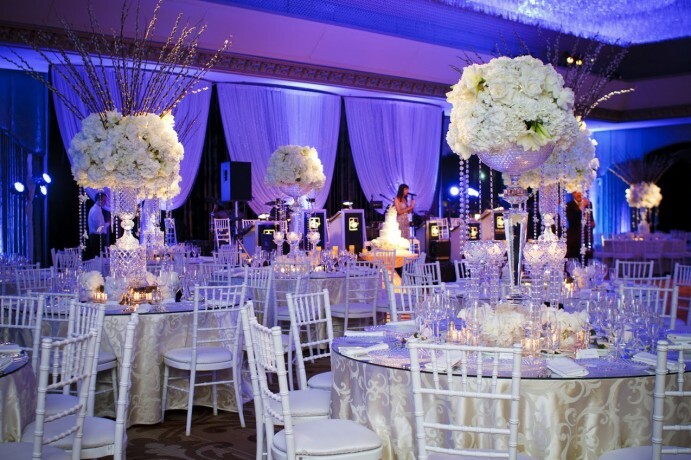 Ready your aisle arrangements to serve as stage décor or a dramatic statement piece on a sweet table or a bar. Be open to your designer’s suggestions and ideas. “Your Pinterest page may be jaw-droppingly stunning, but trust in your event designer to gather your inspiration and create a centerpiece that conveys your concept in a cost effective and beautiful way,” Joshua advises. Whether the room has 15 or 50 dining tables, a variety of designs will have the eyes dancing through the room in pure delight! 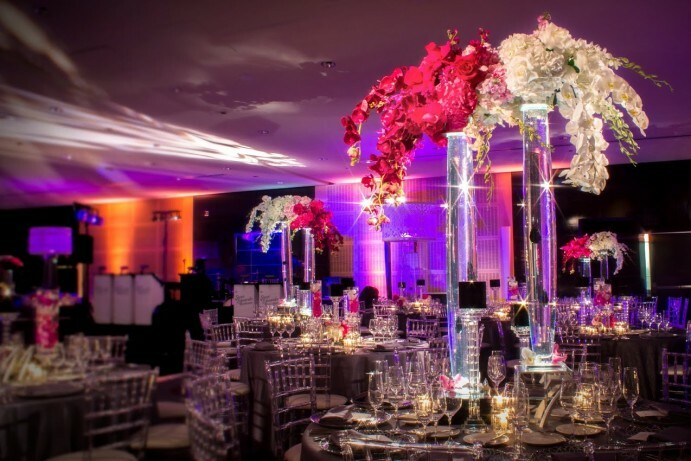 Create levels by alternating between tall centerpieces and low centerpieces. “By having two or three designs at varying heights, you bring a great deal more visual interest to the room,” assures Joshua. Don’t forget the candles! 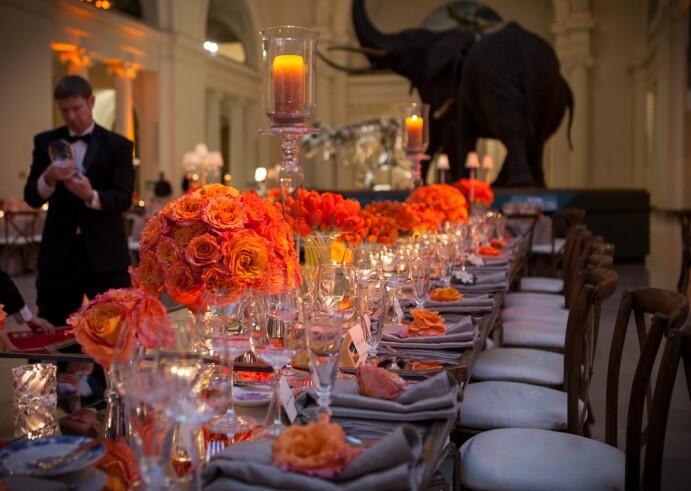 Everyone looks attractive dining in candlelight, and your exquisite floral centerpieces are no exception. Nothing compares to the magic of a sea of glittering candlelight as your guests first walk into the room. “The candlelight, glowing from every corner of your reception space will be the first thing to catch their eye, even before the perfectly manicured floral,” says Joshua. Don’t be afraid to mix cut-crystal, glassware, and metallics to create a unique stylized design that evokes intrigue from every angle. “One of my favorite steps in the event design experience is to bring brides to our new Design Studio. Here, they can let their imagination run wild, exploring our massive inventory of fine vessels, gilded treasures, and high style accessories and find the combinations that perfectly suit their signature style,” says Joshua. Shabby chic is out and glamour is in. 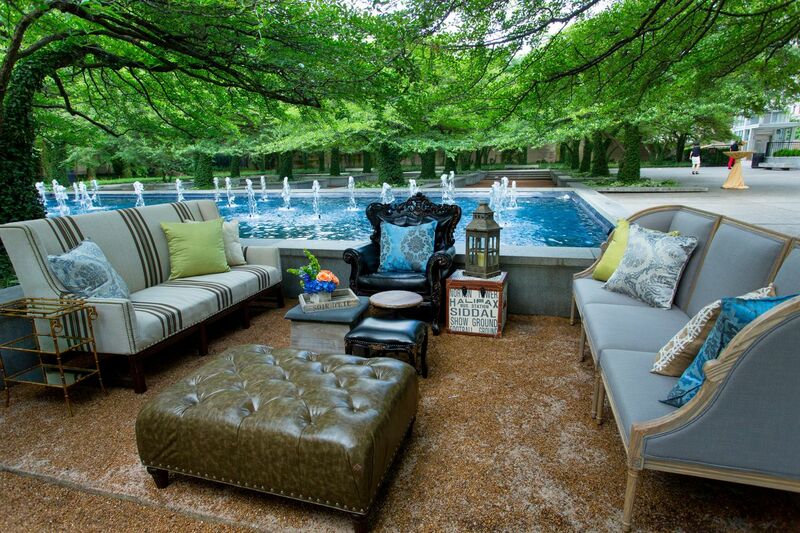 “Everywhere, we are seeing a trend calling on the refinement of polished interior design. The ever popular farm table has given way to the magnificence of the ultra long and grand “king table.” Mercury glass also appears to be on its way out and being replaced by more regal, ornate accessories such as gilded candlesticks and mirrored candelabras. Clients want personalization. While custom monograms are on their way out in the bridal world, the trend for a fully customizable and “branded” wedding has never been more in. 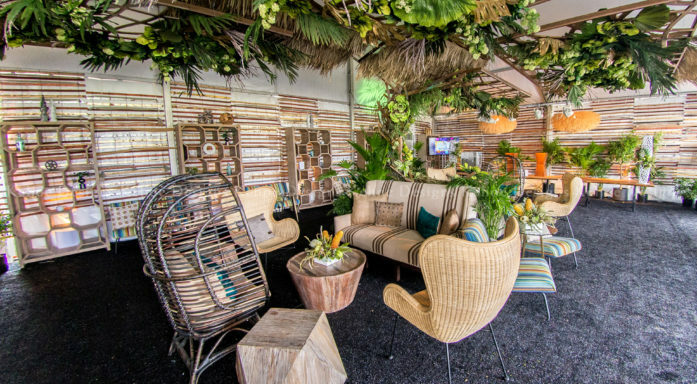 From custom graphics applied to dance floors, unique textures and bold patterns on bespoke furnishings, to programmable lighting, clients understand that the magic of event design is in the details. “While we all love the one big, over-the-top floral-drenched showstopper, I’m seeing that more and more brides are drawn to collected looks containing multiple pieces,” says Joshua. From mix-and-matched votives and candlesticks to stair-stepped groups of varied floral designs, brides are wanting beautifully curated collections and compiled tablescapes. 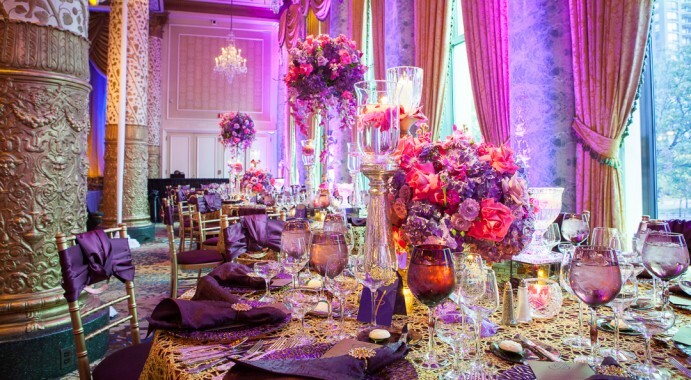 At Kehoe Designs, whether it’s relaxed elegance or unabashedly bold, we embrace the artistry of wedding floral and wedding design. Our brides are invited to take part in the entire process beginning with a private consultation with one of our expert designers followed by a visit to our Design Studio. 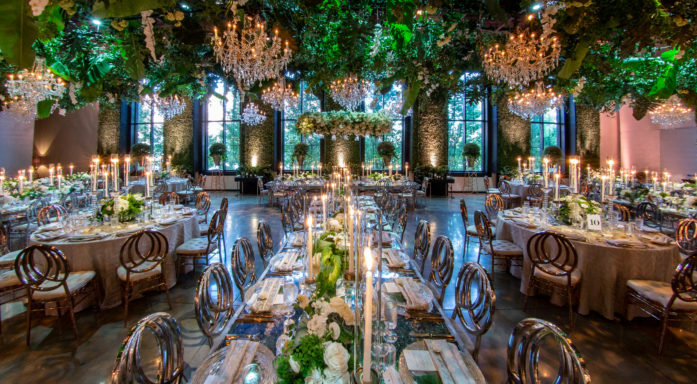 Here, brides have the opportunity to be inspired–to see, feel and touch the elements that will compose the enchanted “environment” of their ultimate dream wedding.